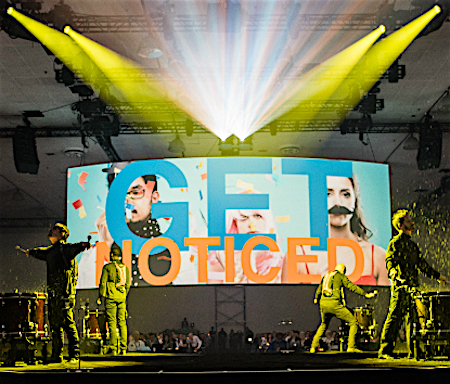 NetSuite's annual conference was big and bold (as always) with some really significant announcements and an abundance of interesting and illuminating customer stories and presentations. We heard from Imran Khan, Chief Strategy Officer of Snapchat, another famous fast-growing NetSuite customer. He said that they have over 100 million daily users watching more than 10 billion video views per day, requiring a huge infrastructure to support. He said they chose NetSuite not just for scalability, but to get a transparent real-time view of their business. SuiteWorld always feels more like a rock concert than a typical enterprise software conference. The central theme this year was “Be Bold” and the opening session started off on point with four dramatically lit drummers on stage playing thundering, driving beats while dramatic videos of artists, extreme sports, and other bold and creative expressions played on the four big screens of their theater-in-the-round setup.1 Zach Nelson, NetSuite’s CEO started off with some stats: NetSuite went from being the eighth largest ERP company in 2014 to the sixth largest in 2015; 45% growth last year; $150B in orders processed by NetSuite in 2015; $967M projected revenue for 2016, up from $741M last year; achieving a greater than $1B run rate this year; and 30,000 customers, with customers in every one of the 1,540 SIC codes. Later, Founder, CTO, and Chairman Evan Goldberg gave a couple more statistics demonstrating the scalability of their platform: 2.45M e-commerce orders processed on Cyber Monday, 1B emails sent via Bronto in the seven days around Black Friday. We heard from Brian Mullin, CEO of Daqri, another NetSuite customer in the category of cool manufacturing startups. They make a ‘smart helmet,’ which has a visor with built-in heads-up display, and Intel N7 processor, seven (count them, seven) different cameras (including a thermal camera), and other sensors (e.g. mic, accelerometer). Images can be overlaid on the actual scene the wearer sees, such as virtual gauges on a machine, or the ability to flag overheating equipment or in other ways alert to equipment that needs attention, or when doing service and repair, provide visual ‘show me’ instructions overlaid on the actual equipment itself. You can see an explanation and some examples in this short video. Daqri was started five years ago and has grown to 350 people around the world. They are anticipating their largest growth in the coming years, driving them to find a system that could sustain this grow with them. Their system connects directly to the PLC, SCADA, and process control systems found in factories and on complex equipment. But they also need to connect to their customers’ back-end enterprise systems. Zach announced the integration of NetSuite’s work orders with Daqri. NetSuite is designed with the scalability2 to serve small companies with fewer than five employees all the way up to firms with billions of dollars in revenue (and divisions of F500 firms). They also support a variety of billing and revenue models (such as subscriptions born out of their support for SaaS software companies early on). In part because of this scalability and types of capabilities, NetSuite has attracted quite of few of the hottest and fastest growing technology-based firms as customers, such as GoPro, Tesla and FitBit. One of their latest ‘hot startup’ customers was up on the stage at the opening session this year: Hyperloop One, a young company aiming to fulfill Elon Musk’s vision of a next generation transportation system3 capable of traveling through tubes at supersonic speeds, faster than today’s modern passenger jets. Their CEO, Rob Lloyd said that Hyperloop is not just a faster train, but a new paradigm for transportation, where single cars travel independently point-to-point without having to make stops along the way. Their next big milestone is a full system demonstration, which they hope to do at the end of this year. It is a testament to confidence in NetSuite that so many successful big name startups have selected NetSuite as the platform for their businesses. At the end of his talk, Rob gave Zach Nelson a ticket to be on the first commercial Hyperloop ride. We heard from Jim Ramsey, Head of Global Technology for Maclaren,4 a NetSuite customer who makes baby buggies. For its size, Maclaren is complex, consisting of 10 companies comprised of 19 subsidiaries with 12 warehouses around the globe. Six months ago they started using 3PLs in addition to their own warehouses for additional flexibility and to reduce internal costs. They just started with the Fulfill-by-Amazon program. NetSuite gives Maclaren a consolidated view of their inventory across all locations globally, regardless of whether it is in one of their own warehouses, at their 3PLs, or in an Amazon DC. Customization of enterprise applications has gotten a mostly-deserved bad reputation, because of the many problems it has caused for people running traditional on premise systems. In particular, customizations too often don’t survive upgrades, causing companies to delay badly needed upgrades and/or suffer crashes/downtime, long delays, large upgrade/conversion costs and potentially lost revenue when they do finally upgrade. As a multi-tenant SaaS system, all NetSuite customers are automatically upgraded on a regular basis. It would be a disaster if these upgrades caused any customizations to break. Hence NetSuite has been extremely diligent from the start to architect its customization approach so that it never breaks with a new release of the code. Further, the NetSuite approach from early days has been to provide the most important core functionality, but rely on partners and the platform’s customizability to allow customers to ‘fill in the gaps’ to get a system that meets all of their needs. 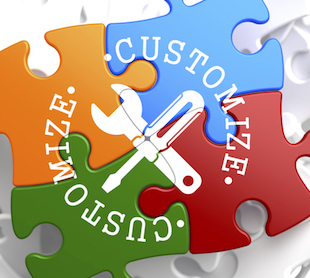 Because of the central importance of customizability, NetSuite has built a rich set of tools for customizing. These customization capabilities have been used extensively by NetSuite customers (for example, what Lytro did with warranty and after sales service) and are often cited as one of the things they like most about the system. Zach pointed out that their top most used features—ahead of even the core transactions like invoices, orders, and journal entries—are custom fields and custom records. Hybrid Business Models—In the past, companies were primarily (or in many cases exclusively) either product companies (making/selling physical products) or service companies (e.g. professional or financial services), or ‘as-a-service’ companies (selling some sort of subscription service). Increasingly the lines are blurred and companies operate in multiples of these business models—for example manufacturers are increasingly becoming service companies as well as selling their products as services. To address this need, NetSuite created unified billing and revenue recognition (see below “If You Can Sell It, We Can Bill It ... and Recognize the Revenue”). Operate Globally—When NetSuite introduced OneWorld, they discovered that even small companies needed multi-currency, multi-language, multi-tax capabilities in order to buy and sell across the globe. Jim McGeever, NetSuite’s President and COO said, “OneWorld is our crown jewel, the best financial system in the market. We will continue to be the first and last financial system you will ever need.” He announced OneWorld 16, extending those capabilities further to include features such as global entity management to allow customers to interact in any language or currency around the world, automated intercompany processes, automated elimination and consolidation, multiple account books, SuiteGL & SuiteSegments (lets you segment your entire business, including customizations, by any dimension you want, such as by region, brand, profit center, market segment, team, etc.) and more coming in the next 6-18 months. Revenue recognition is challenging enough for one of these business model types. 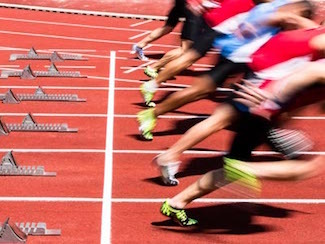 Hybrid models are even more difficult and now the challenges are further compounded by new revenue recognition rules5 coming into effect in the US and elsewhere. To help their customers with an orderly transition to these changing regulations, NetSuite can recognize the same revenue multiple ways, in multiple books. SuiteBilling and NetSuite Advanced Revenue Management were designed to allow invoicing and revenue recognition processes to work tightly together while meeting the specific independent needs of each process. NetSuite automatically synchronizes unified billing and revenue recognition, based on an event driven framework; i.e. billing and revenue recognition are triggered by events such as when a customer incurs usage, or a project milestone is executed, or an order is fulfilled from inventory. NetSuite showed an example of a unified bill that had a software subscription billed in advanced (with tiered pricing based on the number of licenses), project fees from setup and training, and data storage billed after the fact based on actual usage—all in one unified bill. They showed that the system could be set up to automatically create a sales quote 90 days before the end of the subscription renewal period. The revenue contract was automatically created as well. When changes were made to the number of licenses, it automatically flowed through everything. The system can set up an invoicing schedule by group or by customer. It also provides self-service for customers to change the number of seats, make payments, view invoices and payments, and so forth. Both Zach and Evan said that unified billing and revenue recognition is one of NetSuite’s biggest ever initiatives, with more man hours than anything else they’ve done, including OneWorld and SuiteCommerce. This is an area I think will continue to be a differentiator for NetSuite, even compared to the larger and more complex/expensive enterprise systems. In the area of Governance, Risk, and Compliance (GRC), NetSuite will be expanding their auditing and security controls to include more flexible and granular access controls, more comprehensive audits, and unified system notes across all records. They have a strategic partnership with Grant Thornton to provide GRC training, consulting, and professional services. Related to this, NetSuite has a partnership with FLODocs for SOX and ITGC compliance, with tools to plan, execute, monitor, and automate change management and change tracking for documents. FLODocs generates a diagram of all custom fields showing all related objects, forms, and workflows. It lets users search all documentation across different forms, bundles, workflows, records, and so forth. When the user changes a field, FLODocs will do an automated impact analysis, including dependent workflows, and provide an approval system for changes as well. NetSuite introduced SuiteCloud in 2009, with an Eclipse-based IDE,6 to enable customers and third parties to build cloud-based applications on top of NetSuite’s infrastructure. In the 2016.2 release, NetSuite will include beta versions of SuiteScript 2.0, new team development features, better change management, and automatic code validation. During Evan Goldberg’s keynote session, he did a demo, writing from scratch a simple application to manage past due invoices for Urban Market Bags, a company co-founded by Evan’s wife Cindy. Within a couple of minutes he had written most of the logic, about 30 lines of code (their system does a lot of auto-completion, so coding can be very fast). Cindy then interrupted, came up on the stage, and pushed Evan aside to show how it is done in SuiteScript 2.0 with about 10 lines of code—cleaner and simpler. In Tackling Profitable Fulfillment in 2016, we wrote, “2016 will be the year of reckoning for many retailers and manufacturers who do 'fulfillment at any cost.' … To survive and thrive in today’s omni-channel world, businesses need to serve customers flexibly and reliably—offering a very wide variety of choices on where and how items are discovered, ordered, delivered, installed, serviced, and returned, as demanded by their customers. … However, business cannot run forever without making a profit.” We feel this is one of the most critical issues facing retailers today and we're glad to see NetSuite beginning to address it. Allison Manetakis, NetSuite’s Director of Product Management for Order Management, presented NetSuite’s new Intelligent Order Management (IOM) capabilities during the opening keynote session. 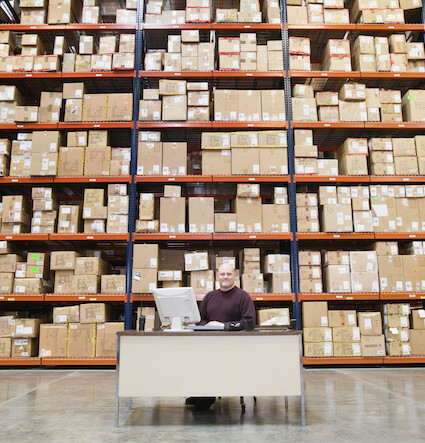 IOM provides a way to pool inventory across locations (stores and DCs) with user-configured rules to automate fulfillment decisions, balancing speed, shipping costs, customer importance, and other factors while respecting store minimum reserves and other constraints. Allison said these capabilities can reduce safety stock by as much as 20%-30% on average, as well as potentially lowering shipping costs, compared with manual methods, while enabling more efficient fulfillment to scale without adding labor. IOM provides metrics and reporting for perfect order rates as well. NetSuite is early in their IOM journey—some other vendors have been working on these kinds of capabilities for years, generally aimed at larger and more complex scenarios. Some of those solutions can take years and millions of dollars to fully implement across a large retailer’s network of stores, DCs, and partners. Many NetSuite customers either don’t need or aren’t ready for these more complex scenarios. The roadmap that NetSuite has laid out for IOM builds on initial simpler capabilities. Their roadmap seems to include just about everything their customers (and I) asked about, and a lot of it is happening within the next year or so. NetSuite has retailer customers that are growing and really need these capabilities now. I expect that IOM’s capabilities will also grow as their retail customers get larger and as NetSuite on-boards larger retailers as well. IOM represents a really important step and direction for NetSuite and I expect this will be a critical piece of the puzzle for their retail, wholesale, and manufacturing clients. NetSuite has for many years had functionality specific to each of five broader industries: wholesale distribution, manufacturing, professional services, retail, and software. To address the unique needs of specific narrower vertical segments within those industries, NetSuite has relied on a combination of their high level of configurability/customizability and their rich network of partners. At SuiteWorld 2016, they showed their first targeted vertical-specific functionality for Retail Apparel. They said that it is a combination of the core product, platform, ‘quick strategy’ services by NetSuite’s professional services organization, and components from strategic partners (in the case of retail apparel, these include 7th Online, WFX, and Clutch Loyalty Marketing). They showed a retail-specific dashboard, estimated landed cost, built-in lookbook7 functionality (which can be used in building out website images among other things), a ‘hashtag gallery’ showing real world examples of the retailer’s clothing from social media, retail-specific analytics such as styles by quantity, weeks of supply, a hierarchical view of inventory (purchases, sales, transfers, etc. 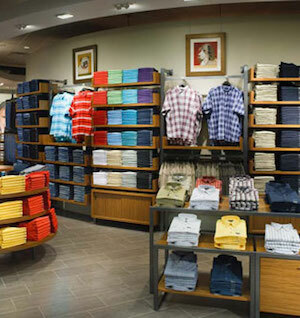 organized by the retailer’s merchandise hierarchy), and grid order entry which allows order quantities to be created in a grid of colors and sizes, which is much more efficient and easy to scan than the traditional line-by-line order format used by traditional order entry systems. In our briefing with the executive team, Zach Nelson said that NetSuite expected to add about two or three new micro-verticals each year going forward. This raises a question about whether any of their partners in those verticals will feel threatened by these moves. In the case of retail apparel, NetSuite is relying on specific partners to fill in the deeper functionality required in specific areas, so arguably it is a boon to those partners that NetSuite is focused on their vertical. Evan Goldberg said that NetSuite will continue to rely on partners as they venture into other verticals as well. NetSuite’s manufacturing and distribution customers are often small, fast-growing, entrepreneurial firms. While some of them do their own manufacturing, such as Specialty Bakery who uses NetSuite’s recently acquired iQity manufacturing solution. However, many of NetSuite’s other customers rely on outsourced manufacturers, perhaps doing final-assembly in-house. As such, NetSuite has been supporting outsourced manufacturing processes for years. At SuiteWorld, they announced their SCOPE (Supply Chain Operational Excellence) initiative, in which they are developing deeper functionality for managing outsourced manufacturing. SCOPE is being defined and developed with a set of NetSuite’s customers who are design partners in the process. SCOPE will include areas such as new product introduction (NPI), Product Data Management (PDM), Engineering Change Orders (ECO), advanced BOMs8 (e.g. as-designed, as-manufactured, as-serviced, etc. ), cross-subsidiary ATP9 to optimize inventory and capacity across your network, quality and traceability at the contract manufacturer and sub-contractor levels, end-of-life (EOL) planning and execution to reduce both E&O10 and EOL stockouts, and a collaborative framework for working with and resolving these various issues across a network of outsourced manufacturers and service providers (e.g. packaging partner, 3PL,11 etc.). A supply chain control tower capability will provide visibility across the network. This is another really important area that we are eagerly watching as it progresses. With their cloud-native architecture, NetSuite has always had a time-to-implement advantage over most on premise ERP systems. Now they are looking to improve their customer engagement via the SuiteSuccess program they just announced. This is not just about getting the software implemented more quickly, but leveraging industry-specific leading practices, combined with early-in-the-cycle consultative discussions to get the system into productive use faster. They are initially focused on wholesale distribution and software based on over a decade of experience NetSuite has been implementing in that industry. However, there are plans to roll this out across other verticals soon. NetSuite says customers can go from “0 to cloud in 100 days” … and they have case studies to prove it. We will be covering this in more detail in an upcoming report. SuiteWorld 2016 had some really important announcements. NetSuite’s executives said that the unified billing and revenue recognition was one of their most important initiatives in the history of the company. From my perspective, as a supply chain analyst, I thought the IOM and SCOPE announcements, addressing omni-channel fulfillment and outsourced manufacturing respectively, were two of the most important new developments of the show. Whichever way you view it, it is clear that NetSuite has a strong momentum of customer enthusiasm and continued growth as the company shoots past the $1B mark and will very likely break into the ‘top 5’ largest ERP software companies next year.